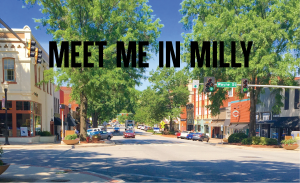 JUNE FIRST FRIDAY: BEACH BASH & “SAND-SATIONAL” FUN! 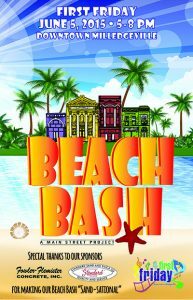 June 3: FIRST FRIDAY: BEACH BASH & “SAND-SATIONAL” FUN! Downtown Milledgeville is going coastal! Kick off your summer with a Stay-cation…because we’re bringing the beach to you. For First Friday downtown, June 3rd, 100 tons of sand will be dropped in the Post Office parking lot, so head downtown for a super fun beach party starting at 5pm. Bring your beach chair to relax while the kids enjoy beach toys, games, and more! Better yet, join in with the kiddos for some “Sand-sational” fun! Then, dig your toes in the sand and relax for a special showing of the Minions movie at dark. 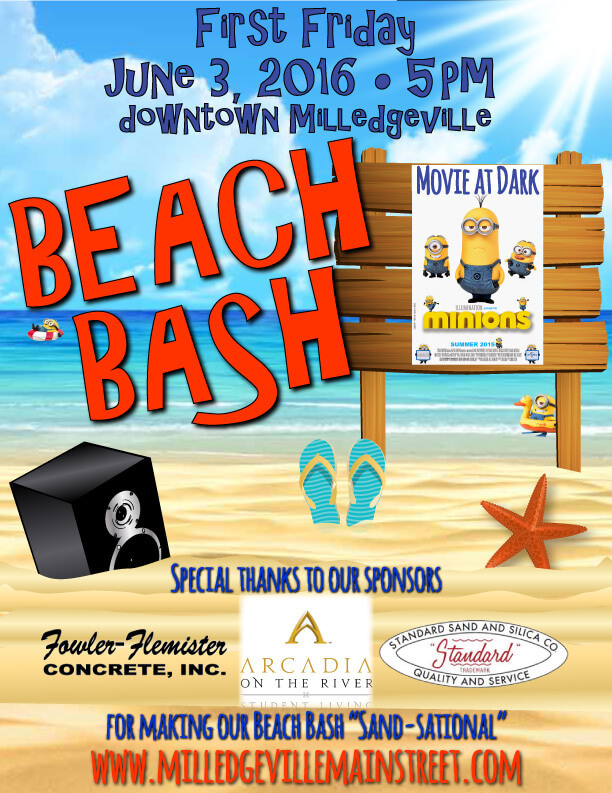 This event is entirely made possible by the generous donation of sand by Standard Sand & Silica Company, delivery by Fowler Flemister Concrete, Inc., the hard working City of Milledgeville maintenance crews, and our First Friday sponsors. These sponsors & partners deserve a huge thank you! Check out the tons of fun in tons of sand we had at last year’s Beach Bash.